GARDAÍ BELIEVE A fight between two groups of teenagers – which left a boy with facial injuries – was arranged on social media after a number of so-called ‘call-out’ videos. Officers are now in the process of liaising with secondary schools in Ashbourne, County Meath, as well as schools in Swords, north Dublin following the incident last Friday. Last week, one innocent teenage boy was hospitalised after a gang of young people got off a bus and attacked him outside a fast food restaurant. Images and videos from the attack were posted to social media site Snapchat. However, gardaí believe that a fight between two groups of youths had also been organised previously on the online platform. Up to around 40 teenage boys had taken public transport to Ashbourne. Some claimed to have knives and other weapons in their possession prior to the assault. Gardaí believe the attackers intended to meet a local group of teenage boys for a fight but instead approached a different group of young people who fled straight away when approached. The boy who was attacked and later hospitalised was an innocent bystander in the incident. Gardaí are now attempting to quell the violence by speaking to the schools directly. A garda spokesman described the incident. He said: “On the evening of Friday 8 March 2019 Gardai in Ashbourne observed a large group of teenagers get off a bus in the centre of the town. The group was observed entering a multi-story car park, where they approached a small group of local youths who immediately dispersed. One local youth was assaulted before Gardaí could intervene. This youth and a Garda sustained minor injuries. Gardaí made three arrests under the Public Order Act. Gardaí are now identified a number of other individuals who were involved in the incident and are in the process of interviewing them. Organised fights are also a problem in the Limerick and Clare regions. Last month, local Fianna Fáil councillor Cathal Crowe requested gardaí to investigate a Snapchat ‘fight club’ that is showcasing both organised fights between teenagers and random attacks on young people. 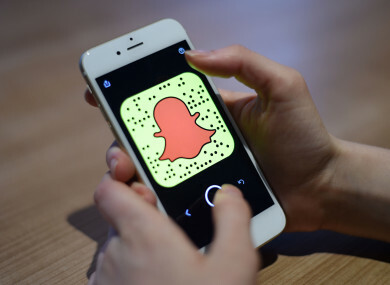 The Snapchat group allegedly features boys fighting girls, unsuspecting young people being attacked on the street by gangs of youths, as well as other violent incidents. Crowe claimed that the videos show heads being kicked and jumped on. Email “War of words exchanged between two schools' gangs on Snapchat prior to assault in Ashbourne”. Feedback on “War of words exchanged between two schools' gangs on Snapchat prior to assault in Ashbourne”.